Our leading technologies, including the revolutionary iMachining, Simultaneous 5-Axis and advanced Mill-Turn, are tested in practical settings. We have a complete video and audio setup to broadcast the live cutting through a video stream directly on your screen, during SolidCAM and iMachining webinars and events worldwide. Our customers and resellers, as well as participants of our training and education, benefit from this practical experience. Faster from the CAD model to the finished workpiece - this is the motto of our Technology Center. Our first Technology Center in the US is located at our SolidCAM Inc. office in Newtown, Pennsylvania. A HURCO VMX24HSi CNC machine is used to demonstrate the power of our Milling modules, enabling us to show customers all of the benefits of revolutionary iMachining, HSS, HSM, and more, in a shop floor style environment. A classroom setting for our customers is located right next to the machine for practical training. Our second Technology Center in the US is located at our in Ball Ground, Georgia. A HURCO VMX30UHSi CNC machine is used to demonstrate our CAM solutions for our customers with a classroom setting located next to the machine for training. 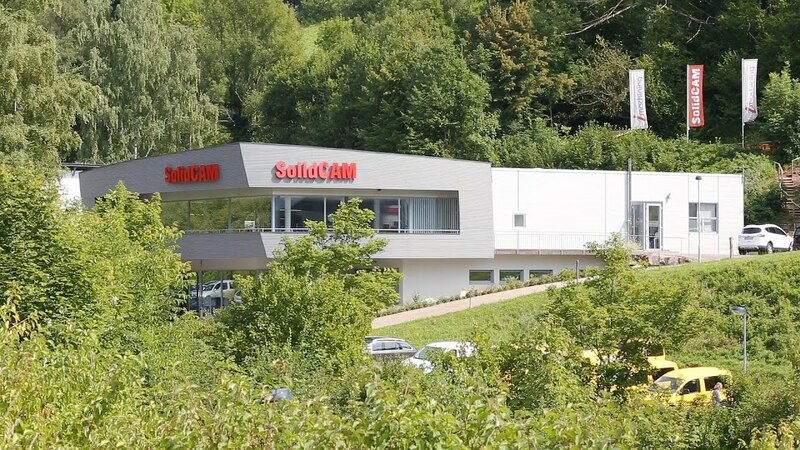 SolidCAM UK’s Technology Centre was opened in-line with our ever-growing consumer demand and to stay ahead in a competitive and fast-moving market. The centre provides additional dedicated support and training to our customers by providing wider geographical options for venues, and also provides a more practical classroom experience. Register to our Live-Cutting webinars events to see live the power of iMachining 2D & 3D and our Advanced mill-turn. Our latest technologies are tested and proven out in-house at our worldwide technology centers. Customers benefit from practical CNC training along with software training, all at the same time.